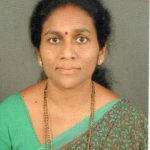 Dr. Renukadevi G. Golikatte, M.Sc., Ph.D.
“Biological Aspects and Fishery of some Fishes from Sharavati estuary, central west coast of India”. (1998-2000). Research paper : ‘Food and Feeding habits of the whipfin Silverbiddy Gerres filamentosus from Sharavati Estuary, Central west coast of India’, presented in the National seminar (2000) held at Karnatak University, Post graduate centre, Kodibag, Karwar, Karnataka. · Attended NAAC sponsored state level seminar on 18th and 19th March 2006 in S. D. M. College, Honavar on the topic ‘Quality Assurance Mechanism Collegiate Education’. · Delivered a lecture on ‘Basic clssification of animals and its evolutionary significance ’in High school teachers conference orgnised by High school teachers Asssociation , Honavar on 20th July 2006. · Attended NAAC sponsored National level Seminar ‘Quest for Quality: Class room Matters’ Organised by Dr. A. V. Baliga College of Arts and Science, Kumta on 5th and 6th March 2007. 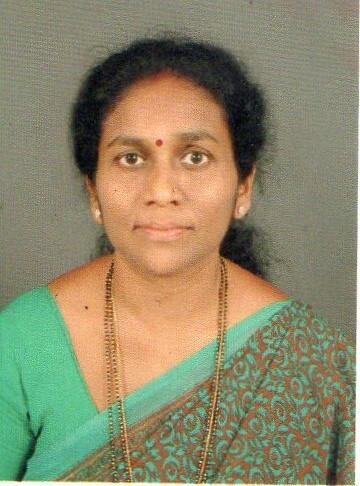 · Participitated in the’ Karnatak University College Botany and zoology Teachers Conference’ held at Dr. A. V. Baliga College, Kumta on 30th March 2008. · Participated in Two-Day UGC sponsored national seminar on ‘Medicinal Plants Protection & Promotion’, held at M. M. Arts and Science College, Sirsi on 4th October & 5th October 2008. · Attended UGC sponsored National level seminar on ‘Challenges before Autonomous Colleges’ organized by S. D. M. College, Honaver on 2nd and 3rd Nov.2009. · Participated in three days National workshop on ‘Sea Turtle Conservation’ Organised by Tree foundation held at Dr. A. V. Baliga College of Arts and Science, Kumta from 23rd to 25th December 2010. · Delivered a lecture on “Biodiversity Conservation’ in Ryla summer camp for high school students organized by Rotary Club.